RYLA is a leadership development programme run by Rotary. While participants can be any age, most events focus on secondary school and university students, or young professionals. RYLA participants are nominated by their local Rotary clubs, which often cover all expenses associated with the program. 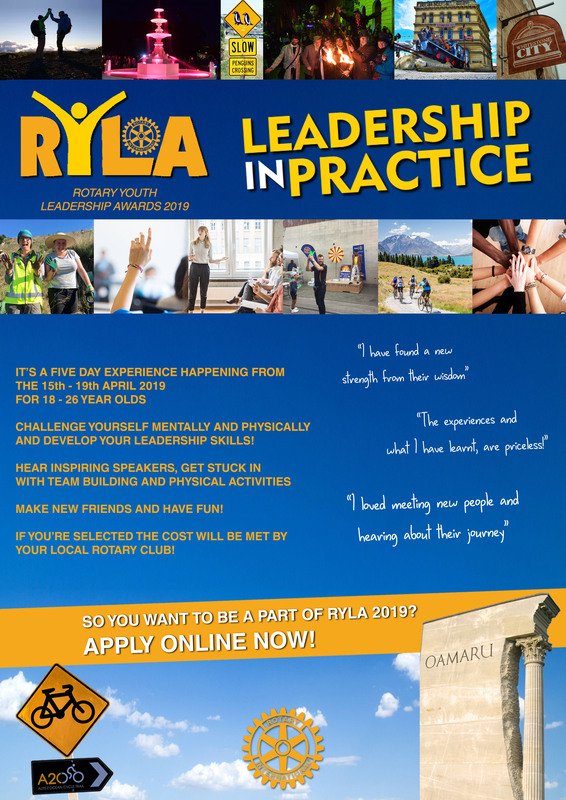 RYLA 2019 will be held in the week leading to Easter - Monday 15th to Friday 19th April 2019 in Oamaru. Please submit applications by Friday 18th January 2019. If you would like to learn more about the RYLA programme please contact us.